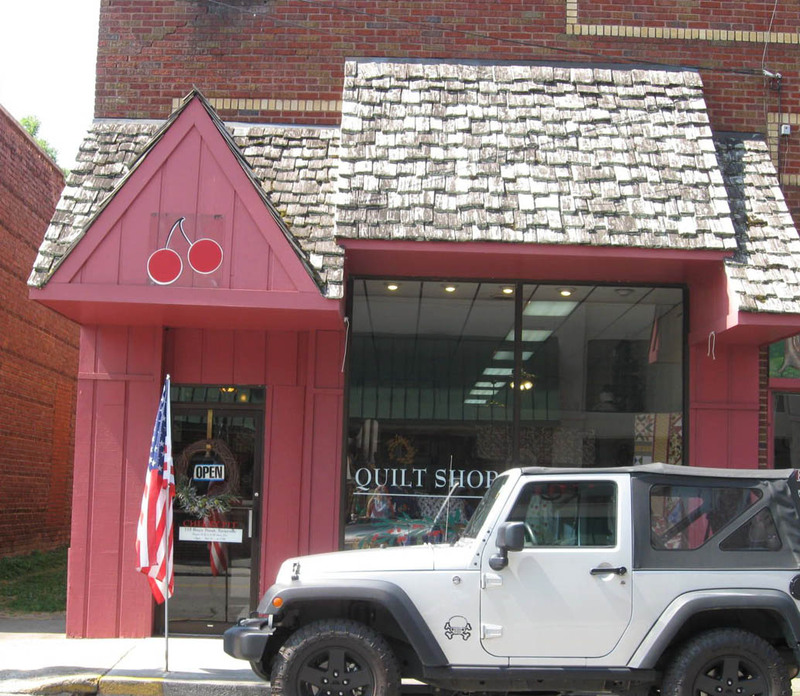 I've gotten feedback that many of you are enjoying an "armchair quilt shop hop" as I recap my visits to the Tennessee area quilt shops for Blank Quilting. Thanks for reading and following my blog! If you have the occasion to visit any of these shops in person (and I hope you do! ), please mention that you saw photos and read stories about them on my blog, FiberAnticsbyVeronica. 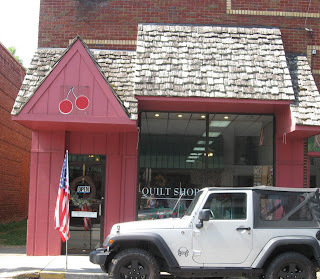 This visit is to a wonderful quilt shop in the foothills of the Smoky Mountains in historic downtown Seveirville, Tennessee. 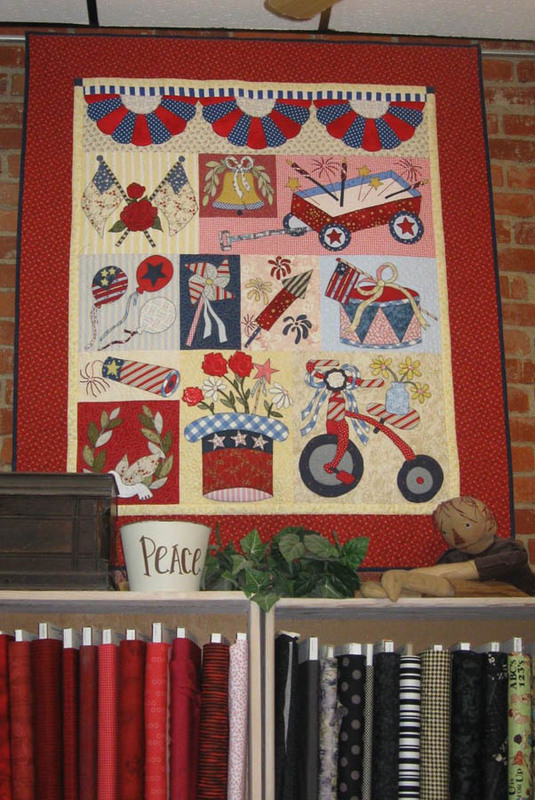 Welcome to The Cherry Pit, a shop that is as charming, warm and gracious as its owner, Jane Washington. 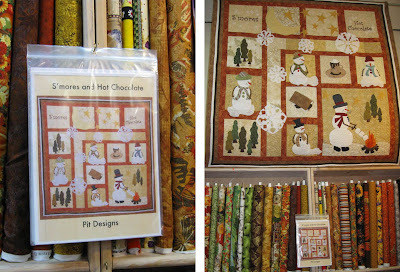 Jane is also a fantastic quilt pattern designer as you will see through the pictures below. Jane is married to George Washington, by the way, so naturally the shop's name is quite fitting. 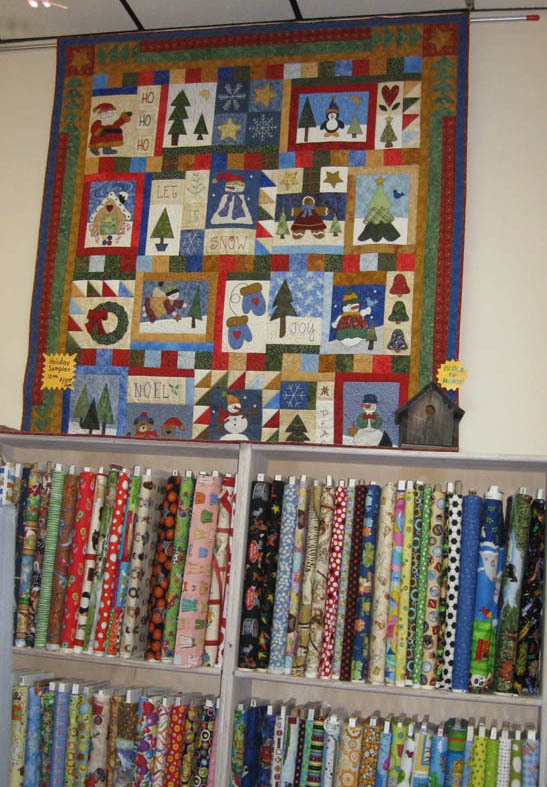 The Cherry Pit has an extensive selection of fabrics and quilting supplies that are available on site or through the on-line store. 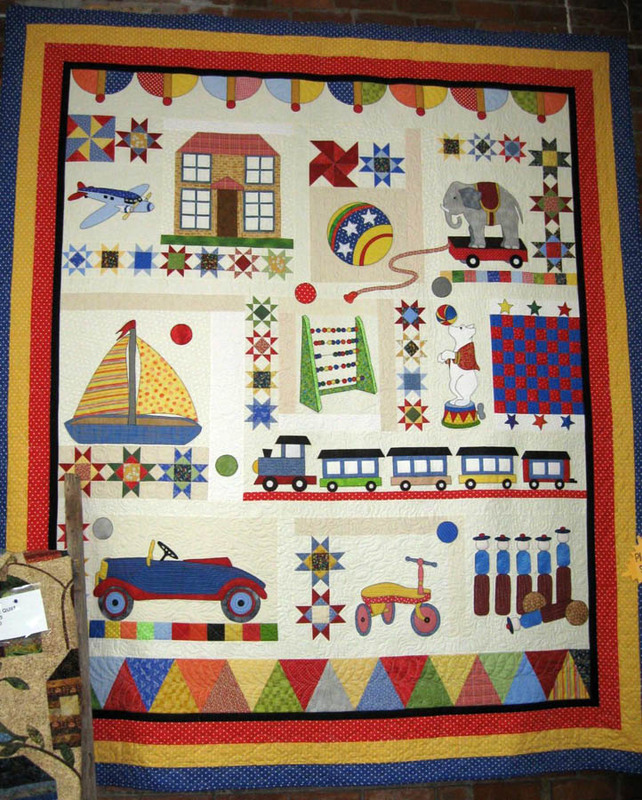 Mini quilts with various scenes and themes hang overhead. Everyone at The Cherry Pit is friendly and helpful and Jane and her staff love the visitors and tourists that flock to the shop on a daily basis. 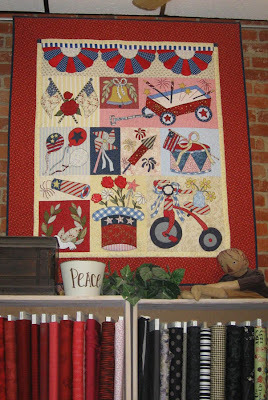 Along with the vast fabric array, visitors and locals alike are treated to a fabulous display of beautiful quilts that adorn the exposed brick walls of the shop. A patriotic quilt featuring a variety of star blocks. 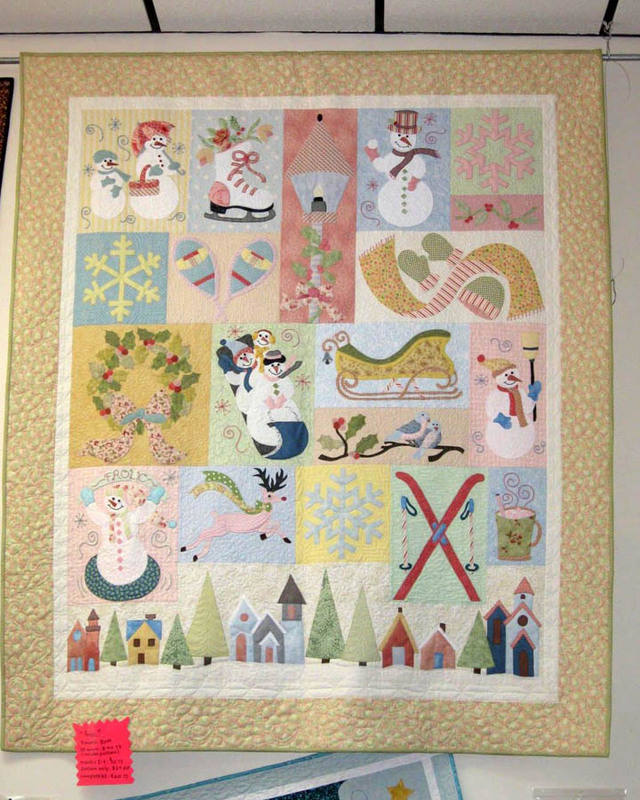 Many of these quilts are from patterns of Jane's own design. "Pit Designs" patterns and kits are available exclusively through the store. "S'mores and Hot Chocolate" quilt and pattern by Pit Designs. Jane Washington, designer. 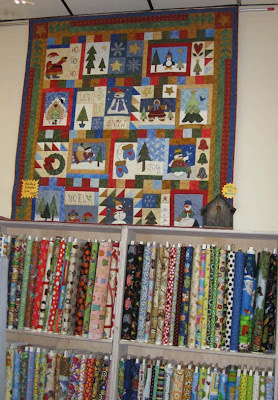 Fabric and quilts... quilts and fabric. Many of the seasons and holidays—Halloween, winter, July 4th—are celebrated through quilts. 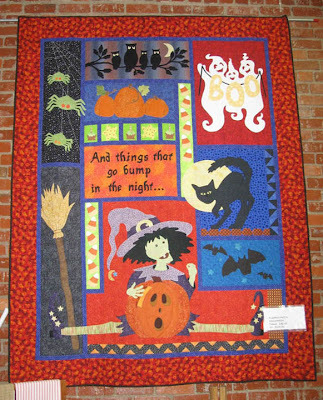 And, Block of the Month (BOM) programs are a specialty at this shop. 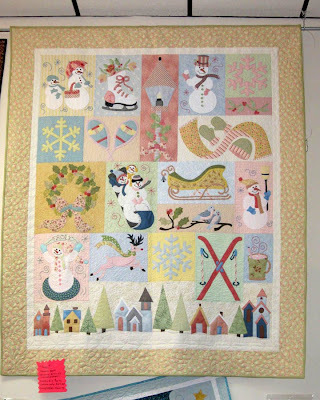 "All things that go bump in the night..."
A charming winter themed quilt. 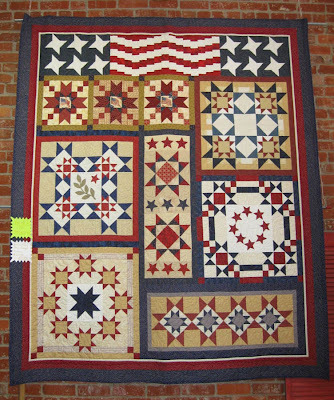 The detail in the design of both the appliqué and piecing make these quilts so interesting and unique. The workmanship and the machine quilting is exquisite as well. You can't help but be inspired! 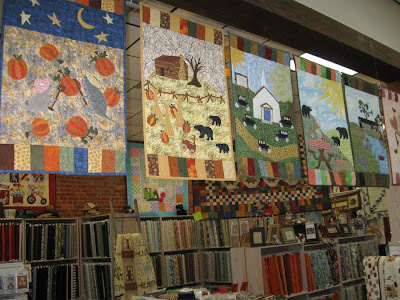 The Cherry Pit offers many classes, programs and workshops throughout the year that quilters from all over attend. One visit to the Cherry Pit and you will immediately understand why it was featured as a "Top 10" by Quilt Sampler magazine.